The Nature Conservancy, Microsoft, and Esri have formed a collaboration around geospatial technology and natural solutions for conservation and climate adaptation planning. One of the key goals of this larger collaboration effort is to demonstrate how TNC is making its data accessible to non-data science experts, and helping target audiences think about how Artificial Intelligence (AI) can enhance their work. 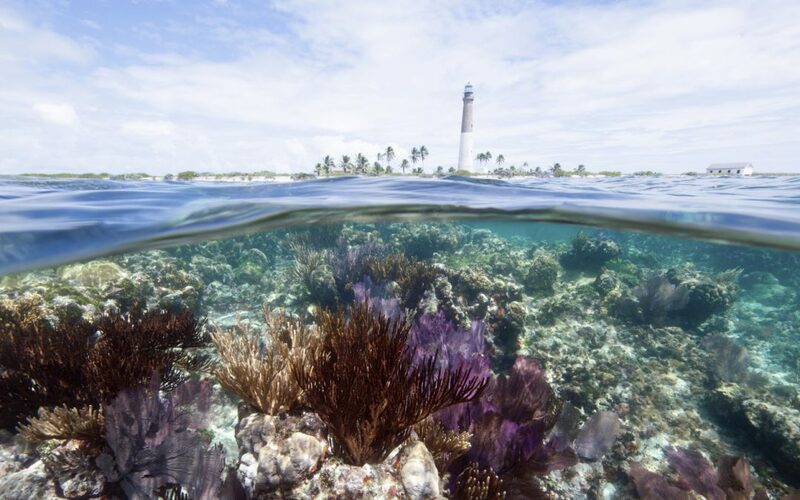 The Mapping Ocean Wealth Coral Reef Recreation & Tourism model was selected as a “lighthouse” project to demonstrate the value of this collaboration. While the existing model uses Flickr photos to determine where and how much reef-based tourism was taking place around the world, using Microsoft’s Azure cloud resources has allowed access to image recognition tools which will improve upon the photo inputs by using AI and machine learning techniques to identify photographs taken underwater. This tool can recognize images of scuba divers, coral reefs, marine animals and other features, creating a higher quality dataset of input photos that will result in a more precise model. From here, the team will also explore expanding the model to identify photos that explore reef-adjacency, or activities that are influenced by the presence of nearby coral reefs, but do not take place directly on a reef (e.g., beautiful vistas and white sand beaches). Read more about this collaboration on the Microsoft Green Blog. Photo Credit: Carlton Ward Jr.